Why outsource your VHDL coding? 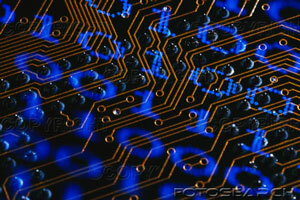 We specialize in writing VHDL code for Xilnx and Altera FPGAs. We have a dedicated team that is knowledgeable about Xilinx and Altera FPGA internals. 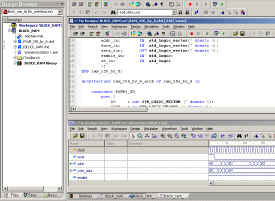 We also maintain a vast library of VHDL functions that are commonly used. Both of these combined, gives us the capability to produce custom bug free code in a very short amount of time. Not all VHDL code is created equal. 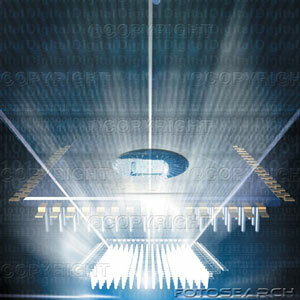 We understand how to transfer data between asynchronous domains using synchronous methodologies. This produces high quality code that is guaranteed to be free form any metastability and latch up issues. Our coding techniques also produce fixed latency delays as data moves throughout the FPGA. The result is that negligible variable transfer delay is introduced into the data path by the FPGA. We offer turn key designs, all we need is a block diagram and design specifications. Depending on your requirements, VHDL coding style is optimized for either speed or logic space. This is something that must be done at the VHDL level and our expertise will ensure that the code is written to these requirements. Every line of code that we write is run through a simulator. We write test vectors to ensure 100% code coverage. The end result is that the code we deliver, will conform to your design specifications. We provide either full source code, EDIF netlist, vendor specific loadable binary file or any desired combination.